Adoption of the revised calendar does not require participation in or adoption of the Real Property Assessment Demonstration Program. Monmouth and Gloucester counties are currently using the revised calendar. 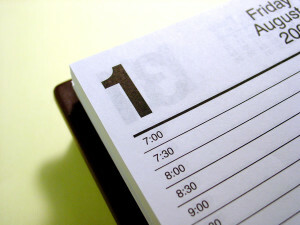 When a county board of taxation adopts an alternative real property assessment calendar per the “Real Property Assessment Demonstration Program,” the county tax administrator must forward a copy of that resolution to the county governing body no later than seven business days thereafter. The county governing body must then consider the board of taxation’s resolution no later than 60 days after receipt. The county governing body is required to consider the resolution and either adopt the alternative real property assessment calendar by resolution or ordinance, as appropriate, or disapprove it by vote of a majority of its members. The county board of taxation, however, must consult with the county’s association of municipal assessors prior to approving the adoption of that calendar. If approved, implementation begins on the following October 1. No later than the first day of the second month next following the adoption of the alternative real property assessment calendar, the county must inform the county’s residents, by publication in the official newspaper of the county, of the adoption of the alternative real property assessment calendar, and the effect of the adoption of that calendar on county property taxpayers including, but not limited to, the change in the date for filing an assessment appeal with the county tax board. No later than the next business day following the adoption of the resolution, the county clerk must inform the Director of the Division of Taxation in the Department of Treasury of the governing body’s decision. Notably, the adoption of that alternative real property assessment calendar is permanent, and the county is not permitted to adopt any other real property assessment calendar.